The way I spend my time shows whether I have a tight focus in my life or an expansive one. Do I spend most of my time on myself, best friends and family? Do I belong to groups? Do I publicly support causes? Do I make an impact at school, in the neighbourhood or in the community? Do I have a life that’s noticed at the city-wide, province-wide or country-wide level? In retrospect, I am more forgiving of myself. I was going through a lot of life changes, and my friends and I supported each other through a lot of tough times. The personal is political, they say. In our 20s, there was so much drama…schooling decisions, unemployment, new jobs, relocation, parents’ expectations, being broke, domestic violence, unplanned pregnancies, wanted pregnancies that didn’t happen, weddings, divorces, first mortgages, and all those life stages. Of course this is within my group of friends and I didn’t experience them all myself (just my share), but it took a lot of psychic energy to be there for each other! I actually experienced a lull of about 3 years when my life was calm. I took up crafts rather than activism, and took on new responsibilities at work. After that I had a child, a good cure for a calm life if there ever was one! From then on, my “circle” became quite small. I became aware I was making a public decision, whether I acknowledged it or not: I was going to use my time and attention to raise a child, rather than do something in the public domain. I think that’s something all parents face: whether their contribution to society will be raising good future citizens, or moving in bigger circles. I suppose I was always a little disappointed in myself for not being more of a community builder. But with a demanding job, I always felt the need to hold back and keep more of myself for myself, so I could function well at home and at work. Even more so when I became a single parent. I’m not trying to elicit pity – if anything, I had to make some hard decisions to “say no” to outside requests more often. It turns out there is no such thing as an apolitical parent. You care about the quality of your child’s school. You care what food is offered at the daycare. You care about the level of health care you can afford. You care whether the kids are exposed to art, music and sports. All of a sudden you realize that maybe some of your child’s classmates have learning difficulties and find it hard to succeed at school. That some of them can’t afford the medicines they need. That some of them are bringing crap lunches to school or going hungry. That some kids are enrolled in activities 4 nights a week and others can’t pay admission for the class trip to the Aquarium and have to stay behind. Before you know it you are driving a car load of kids to the “toonie swim,” looking after someone else’s sick child on your day off, and fundraising for a new auditorium for your child’s school. Along the way, I found I was modelling my values. If I didn’t show up for the daycare parents’ meeting, the staff knew and my child knew and it was a public decision. If I stood up for the national anthem at a hockey game and knew the words, I was modelling patriotism – publicly. These are tiny acts, but over a lifetime, they define us. I only have two big public commitments. I belong to the local Unitarian church and I have taught kids’ classes there for my whole adult life. I would say I’m a Sunday School teacher, but as a humanist and a Unitarian, that would be an in-joke! However, it is the one community to which I fully belong. The other public commitment is my work. In the public library, I am constantly called on to speak up for literacy, education, free access to resources, and freedom of speech. And I do so proudly! Unsurprisingly, I now find it much easier to take a stand on issues. I’m likely to have some personal experience that makes me care. I’ve seen the effects of changes in government at all levels, and what each party and each candidate has accomplished (or wrought!) I know real-life people who are affected by each change to law and policy and fee structure. I cheer when the local school board pays for more EPAs and school band trips and teen health centres. Ultimately, I have created my own path. I’m never going to be an Occupier or chain myself to a redwood. I’m part of the quiet mob that reassures itself by saying, “I’m a good person; I recycle!” I give money to charities, I vote, I obey just laws. As I wrote recently, I take every opportunity to speak up against homophobia, transphobia and racism. We all have our crusades; they’re just not always Large Scale. Where do you stand? Are you a joiner, a protester, or a silent witness? I think it’s important to say no sometimes, otherwise you are stretched so thinly that you are no good to anyone, especially yourself! I’m probably like you, generally part of the quiet mob, trying to raise my kids to be good people and set an example. One thing I can’t stand though,is bullying of any kind, that I do make a loud vocal stand against whenever I come across it. I must say I have learned to set boundaries over the years. It is not mutually beneficial if you do volunteer work and resent it! I think that taking a stand and speaking up, on an individual basis, can be powerful. Gosh this was a major comment and made me think for a bit I can tell you. I am in my early 50s and have such similar thoughts – what will I be remembered for when I am gone? What could I have done more of / less of in earlier years? What can I do going forward? It can be quite overwhelming as I start thinking about time past being more than to come and seeing the older family members passing on. Now that my kids are grown up and doing their own things makes me happy that hubby and I didn’t do too badly with the raising kids stuff. Like you we recycle and luckily our council make it very easy for us. We give to charity. 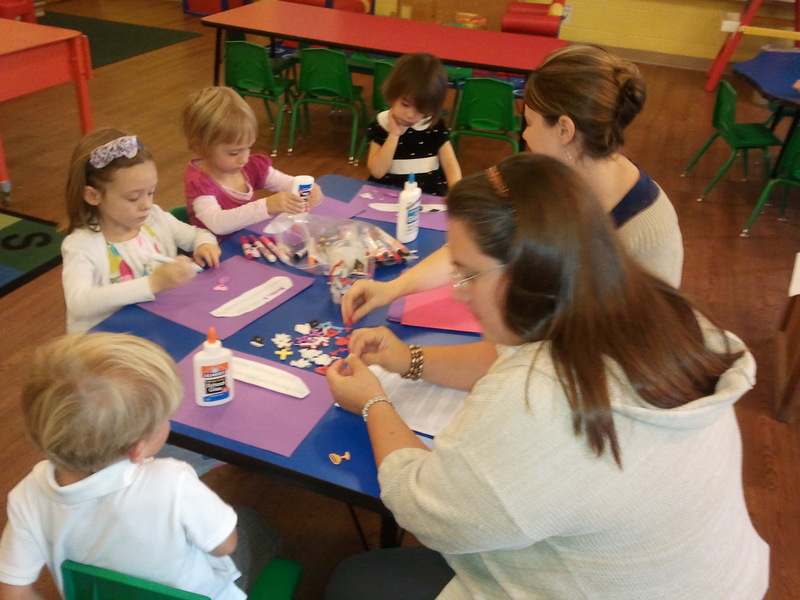 When our kids were younger we helped out with their groups as parent helpers. Sadly though once they moved on to other hobbies we stopped helping out. There is a big push for more volunteers for groups here and a meeting next week which I am thinking of going along to so maybe I can do something after that. The thing is with all this though – not to forget those closest to you as you become more involved in groups. Charity does begin at home after all. Angela, exactly! I am asking myself those same questions. It seems like “mature adulthood” is a good time to take stock and maybe launch a new phase of life! Oh – I love the photo, Dar! I lived in Tasmania as a teenager and wholeheartedly wanted to chain myself to those trees! 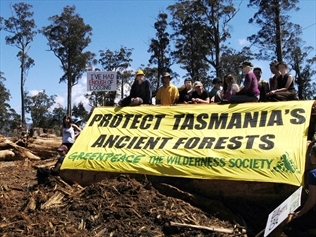 Lots of Tasmanian forests *were* saved back in the 80s and will still be there for posterity. Loved this post and could relate to so much of it. As the work-world hits you in your 20s it does alter your involvements and parenting does even more so. I’m not a joiner but I still feel very engaged in many issues through my vocation as a teacher. I take it a little too seriously at times, trying to fight the various battles of the education world, from equality of access for those with differences or disabilities to many other issues. I have to temper myself as I get quite fired up on my pet topics! I’m intrigued to hear that you have taught at the church for so long. I can definitely see you in that role though! Thanks, Fiona! Less than 1% of the forests in Nova Scotia are old growth. But I was wowed when I saw redwood forests in BC and CA – it felt so primeval to be among them! I really like that my work puts me in an advocate role – and the same for you. It sounds to me like you are doing a lot! It’s good to be accountable to your values but don’t be hard on yourself 🙂 I saw the ‘Do I spend most of my time on myself, best friends and family?’ and I thought, you are way ahead! Staying on track at work and being a mediocre housekeeper takes up 95% of my life! If you have enough time for your friends and family…you are way ahead of the curve already, let alone thinking about what you are doing for the community. Thanks, Tanya! I guess I was thinking of it another way – I always thought I would become a vocal activist and work on various causes, but instead it has become more integrated into my work and my home life, and I wasn’t expecting that. I’ve come to terms with it! There are always the quiet achievers in society the ones behind the scenes that are often not acknowledged but without them far fewer changes would take place in the world. I think my role at the moment is to spend what time I have with my family, my two girls and both mums, and society will just have to wait – otherwise society could find they are the ones having to care for my family!! I think life goes in endless cycles and although I have given my time and energy to the local community and beyond in the past it is just not my time at the moment and as you say with a demanding job not really possible sometimes. I even pulled out of the green committee at work recently – but they are doing good without me! Quite right – it is all connected. What we don’t do for and with our own, will have an impact on everyone else. I agree you need to choose your timing and sometimes that means waiting for another cycle! Like doing the laundry really!! Geez, I’m still digesting the Private/Public post! I don’t go to demonstrations either, nor do I run for causes. My profession has always provided an outlet for volunteering and getting involved ( medicine); now that I am semiretired, I have even more opportunities. I also sometimes work the lunch shift at the shelter in the nearest city, a very humbling thing to do. I used to belong to a UU church where I lived before 2000, and I played piano there about once a month( my kids were both “named” at that church. I’d love to do some literacy stuff. Farming and agriculture are also 2 of my passions; we have a big organics org in my state I’ve always financially supported but would like to do some fundraising for. Hello to a fellow UU (past or present!) You have causes that are near and dear to you, a track record of getting involved, and now maybe more time. A good combination! This post is very relevant for me at the moment, as our new government has so many policies that I hate. Issues like the environment (including forests in Tasmania), climate change, gay marriage and higher education (among many other things) are all suffering, and when I’m feeling cynical I think that the point of them having so many destructive policies at the same time is to overwhelm us and stop us from protesting any one issue! I’m not really a joiner either, but I do things like sign petitions and share things on facebook. One of the things I noticed when I moved to Queensland was that people were more openly racist and sexist than in Victoria. I try to speak out when people say things, but I think maybe I need to make more of an effort. Thanks for adding to the discussion, Liz. I know what you mean about compounding the destructive policies – it’s like pushing through an omnibus bill and hoping no one will read it all the way through! There are certainly regional differences like that here, too, and it can be wearying to swim against the tide all the time. This is very interesting, as I start to exercise more (like 6 times a week seperate to water polo) and make healthy meals AND try to keep being involved in the things I have been, such as returning to the State Emergency Service (like FEMA?). Previously I almost single handedly ran the water polo club (to get changes I wanted); then I ‘nested’ in my new home, then I got voted into the church council. This combined with volunteering sparodcially with the co-op, Sunday school teaching, coffee roster & more at church. Sometimes, it’s overwhelming, but the volunteering can so often enrich me. I can wash dishes at church with joy and happiness, walk home and curse dishes. That is some special magic right? I’ve never thought of myself as an activist, and I continue to try and see both sides of every coin, even if I know what side I sit on. In a lot of ways, I try to be the devil’s advocate to stop thinking in such black and white. I also don’t want to be ‘too radical’ and then written off, so it’s part of moderation. Interestingly, in the volunteer sphere at church and SES and beyond, there’s a lack of 30/40 year olds. I realise as I age that this is largely due to the ‘family’ stage – children. In some ways, I feel like it’s a shame, but on the other hand, society shouldn’t pressure so many singles who don’t marry/have kids – they could be the key to all sorts of voluntary (and paid) powerhouses. Certainly raised a lot of thoughts! Hi Sarah, Your reply has got me thinking. Maybe there are two types of volunteers – activists who are the “public face” of a cause, and workers who get things done behind the scenes. If so, I am the latter. I’d say I do, on average, 4 hours a week. Someday I would like to get involved in our local Emergency Management response plan (although I don’t have work-related skills for it, as you do). Rest assured, they take all types of volunteers with emergency management, and you might find they provide or teach skills that work well in your ‘other’ lives! “Armchair protester” sums me up too!